After recently starting a new job in the city, to say that the muggy air wasn’t agreeing with my skin would be an understatement! So with my new collection of bumps on my chin and a paycheck in my hand, I set off on the mission to find the products that will help return my skin back to its usual, not so spotty but kinda lumpy in the wrong places, way. The first product that entered my mind was the Mario Badescu Drying Lotion, one of my all time favourites! As I recently ran out of this product I decided that I would restock on as I know it works. 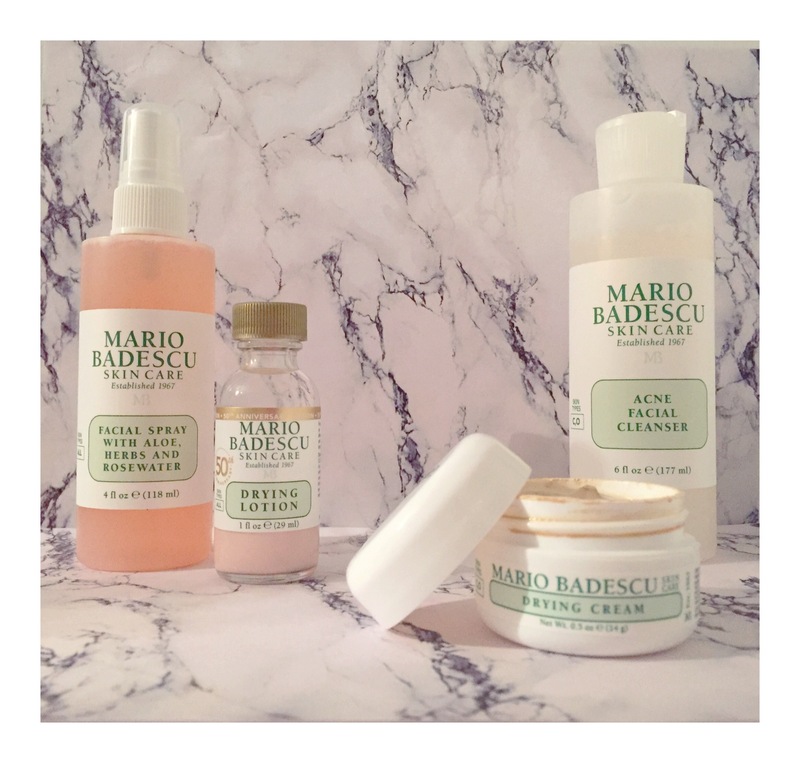 However, when I was just about to add the Lotion to my bag, there it was “recommended for you – Mario Badescu Acne Control Kit”. I don’t know about you but the idea of being able to “control” my acne is very appealing! After taking one look at the list of the contents I was sold! Before purchasing the kit I thought it would be best that I do my research, as I suffer from oily/sensitive skin and I’m aware that not all products are compatible with my skin type. After a quick 10 minutes I was eager to own the kit, with all reviews saying that after only 2 weeks they can see a massive improvement! With visions of having perfect skin already popping into my head I knew what I had to do, £75 later my delivery was on its way – I couldn’t of been more excited! As mentioned in 90% of reviews on this kit, it is supposedly meant to take only 2 weeks for this kit to make a difference, so I thought I would put this to the test and see what results I am left with. This is where the idea of Project Clear Skin comes into play! The Rules – In order to achieve maximum results and allow the products to work to their full potential I will follow the recommended amount of usage per week or day, as well as applying them in the order suggested by the brand and following the directions listed on the bottle on how to apply them correctly. I won’t be using any of my current skin care products and will only be using the kit as far as my skin care routine goes! After the 2 weeks I will share my final thoughts, opinions and results, as well as recommending any particular products that I feel work best from the kit. Have a skin care product you want us to try out? Let us know down below!